The Forestry Commission will work with local communities to improve their knowledge of the importance of the historic boundaries that exist and how valuable they are in maintaining and protecting the character of the landscape. To achieve this, a trainee has been recruited who will work closely with communities to raise awareness and understanding, and remove encroachments and reinstate boundaries. The trainee will benefit from the knowledge and experience of the existing Keeper and Estates teams. Offer advice to parish councils to educate about ways to tackle encroachment and how to work with landowners to prevent it occurring in the first place. Through working closely with parish councils, it is hoped that they will act as champions for the work being undertaken. This will create a sense of guardianship within local communities and enable them to identify and deal with issues in their area, such as fly tipping and ditch clearance. The following parishes have been worked with since 2016: Redlynch, Bramshaw, Woodgreen and Ellingham, Ibsley and Harbridge. Encroachments have been identified within these parishes and discussed with the parish councils and local residents. In some cases the encroachments have been dealt with by the adjacent landowner, but in other cases capital works have taken place to install dragon’s teeth or ditch and banks. Three further parishes will become involved in the remaining two years of the scheme. The Forestry Commission will offer support and volunteer time from their existing volunteer force, and local communities are encouraged to look out for and report any encroachments to their local parish councils, and assist with low level encroachment issues. Visit the training and volunteering pages volunteer page for information on specific roles within the Our Past, Our Future landscape partnership scheme. The long term project goal is to engage with the parish councils and encourage the local community to volunteer. 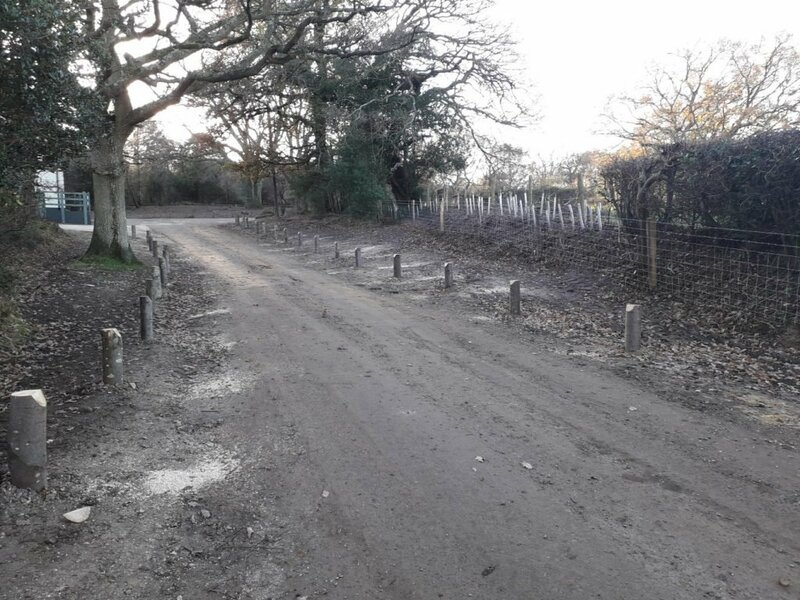 It will create a tangible improvement in the landscape in target areas, reducing incidents of encroachment, whilst empowering parish councils to protect the landscape and help others understand its value.